Radar +20%, Range +20%, Critical Hit Resistance +30%. 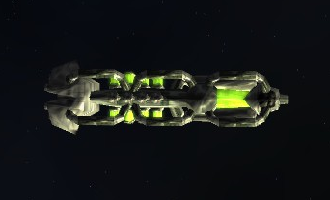 To convert an Earthforce Battlecruiser to a Hybridized Battlecruiser, you need to use a Battlecruiser Hybridization. The effects of doing so are irreversible unless you obtain a new ship. Create specialized organic modifications for your ship! This page was last modified on 13 October 2014, at 17:28. This page has been accessed 3,387 times.